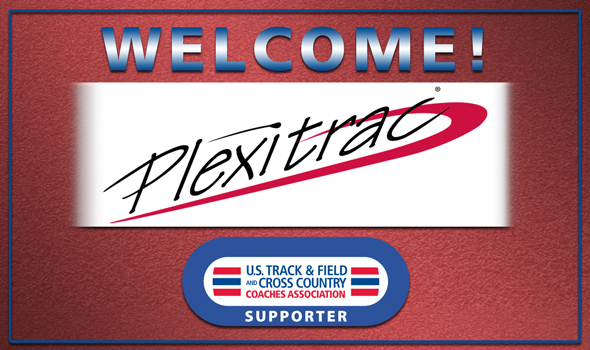 NEW ORLEANS – The U.S. Track & Field and Cross Country Coaches Association (USTFCCCA) is pleased to announce Plexitrac as the newest member of its USTFCCCA Supporter Program. Plexitrac Systems are advanced track surfacing systems designed to provide runners with the highest level of surface performance for competition and cushioning for safe training. “We are excited to become a supporter of the U.S. Track and Field and Cross Country Coaches Association. ICP-Construction (formerly known as California Products Corporation) has been a global leader in sport surface manufacturing since 1953, and Plexitrac is installed in many facilities in the US and the world,” stated Karl Geissler, the Director of Track at ICP-Construction. To find out more about Plexitrac and their track & field surfacing system, USTFCCCA members can visit Plexipave.com/track.